Stephen Curry has become pretty good at breaking records — the three-point whiz didn’t even have to take a single shot to set his latest mark. On Thursday night, the jersey Curry wore during Game 3 of the NBA Finals sold for $US135,060, according to Darren Rovell of ESPN. That six-figure sum shattered the previous record for the most costly game-worn item auctioned off by the NBA, previously held by Kobe Bryant’s jersey from the 2015-16 All-Star Game in his final season. 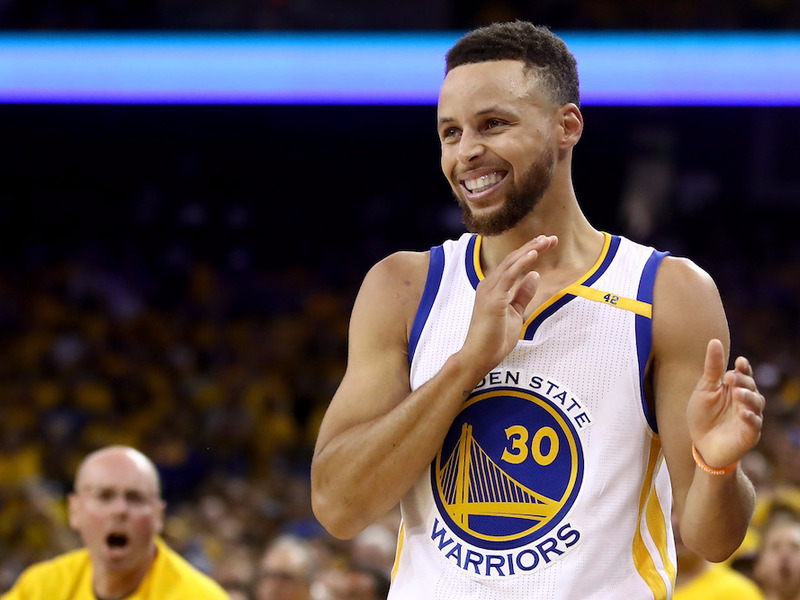 Game 3, which the Warriors won 118-113, featured one of Curry’s more well-rounded performances of the postseason. The two-time league MVP poured in 26 points, including five three-pointers, while adding 13 rebounds, six assists and a pair of steals for good measure. Curry’s wasn’t the only Game 3 jersey to go for a hefty sum on Thursday. Garments worn by LeBron James, Kevin Durant and Andre Iguodala were also auctioned, netting $US92,020, $US71,260 and $US31,706, respectively. The auction occurred on the same day the NBA announced that Curry’s No. 30 jersey was the league’s top seller over the final three months of the season. Both milestones are signs that the sharpshooter has begun to supplant James as the face of basketball in America.